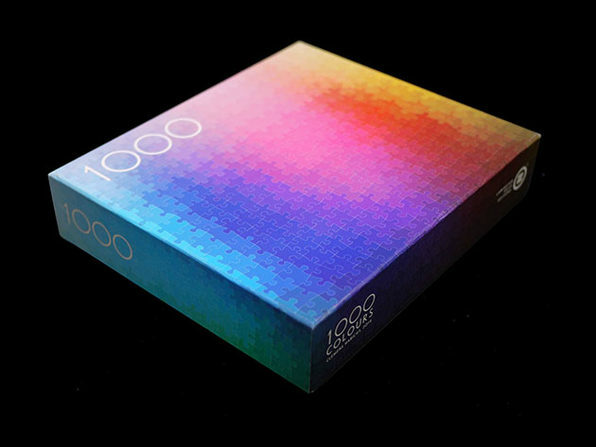 Clemens Habicht's 1000 Colours is a CMYK color gamut jigsaw puzzle of 1000 pieces. 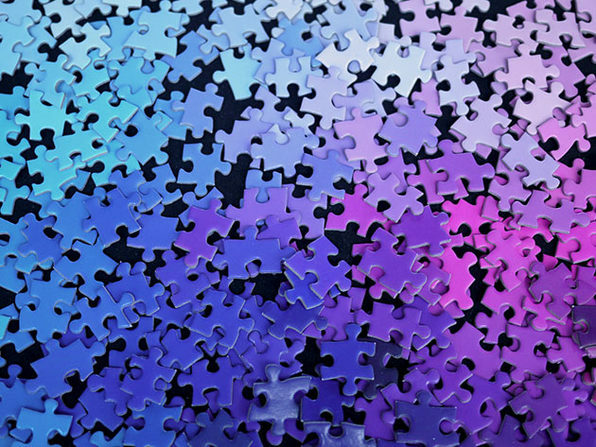 Each tile is an individual color, the task is to place each color exactly in relation to every other color. 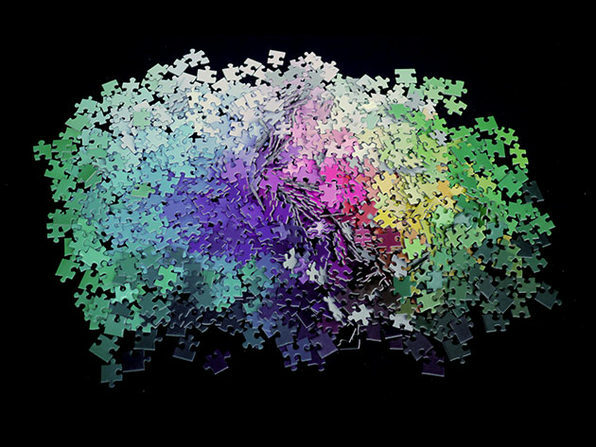 Unlike ordinary puzzles, the logic is not where something belongs in a certain picture, but how each color relates to one another. 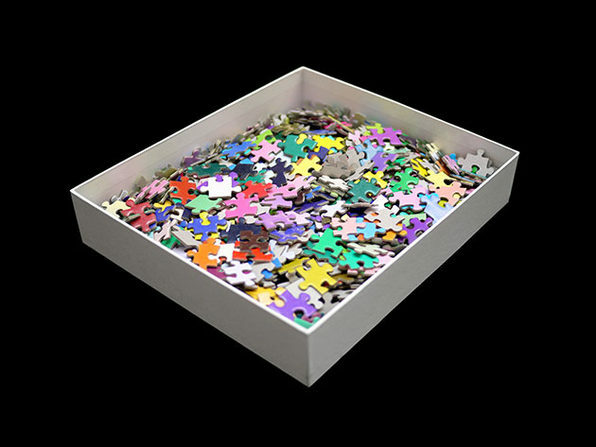 As such, this soothing, therapeutic puzzle will provide you with hours of beautiful, colorful fun!